Bosch, Logitech and Samsung SmartThings become Friends of Hue partners. Friends of Hue partnerships will ensure seamless integration between connected products delivering exciting new lighting experiences. Philips Hue is the number one home lighting system for the Internet of Things with Friends of Hue partnership program supporting this. Royal Philips, the global leader in lighting, continues to take connected home lighting to new horizons by announcing a number of new Philips Friends of Hue partners. Bosch, Logitech and Samsung SmartThings are all Friends of Hue partners. This means that their connected home products, applications and platforms integrate with Philips Hue and are certified to deliver seamless new lighting experiences. There are a number of significant factors that impact the successful adoption of the Internet of Things in homes. Key to this is new experiences; for example lights, thermostats and cameras working together to understand how your home is occupied, saving you energy or providing you with peace of mind when away from home. For this, flawless interoperation with other connected products is crucial. Light can help provide comfort and peace of mind with Bosch and Nest integrating with Philips Hue. Think of light turning on to simulate your presence when you are away; light flashing yellow in case of a smoke alarm then dimming down to a red state which is best to help navigate through a smoky environment. Think of having your Philips Hue lights set to a relax mode whilst the temperature in your bathroom rises. Integrating with Philips Hue can also enhance entertainment at home. Logitech integrates Philips Hue into its Harmony platform meaning its universal remote control can operate your lights to enhance TV viewing and other entertainment activities at home. 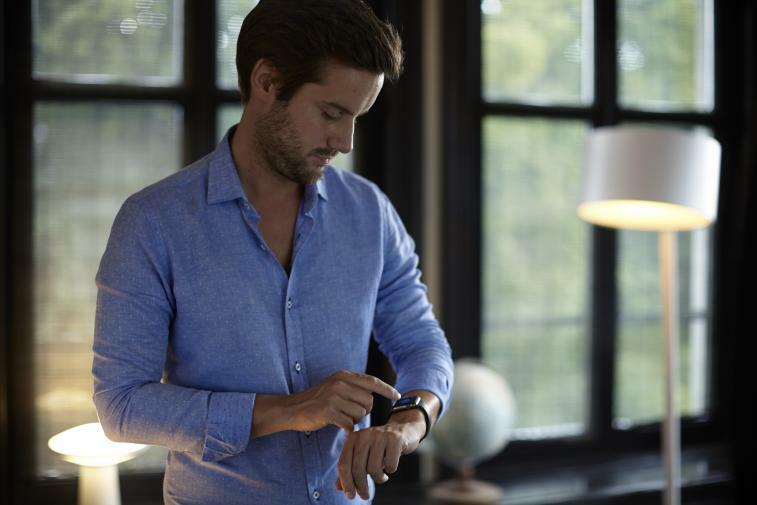 In terms of platforms, SmartThings from Samsung integrates Philips Hue lights into its smart home platform allowing Hue lights to respond to your daily routines and work in tandem with a wide range of sensors, locks, cameras, thermostats, speakers, and more. In addition to Apple Watch, Philips integrated Hue into Apple’s HomeKit platform meaning that it works seamlessly with other HomeKit-enabled products and Siri voice control. Lighting is proven to be the number one interest of the connected home. Philips Hue is the world’s leading connected lighting system for the home. Through its developers program it now has more than 450 third party apps available. It is transforming how light is used in and around the home to enhance a space, heighten a mood or simply ease day to day life. In fact, the possibilities are limitless: stimulating your senses, lighting your moments or even automating for peace of mind. 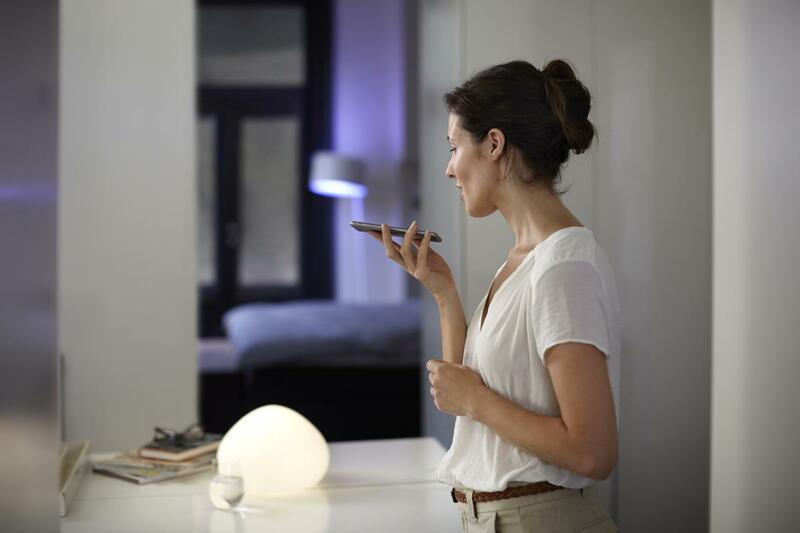 With the Philips Hue ecosystem including bulbs, luminaires, strips and controls, you can easily interact with your lights through apps, tablets, smartphones or even your voice. Use the Hue app to change the lights in a particular room, a group of rooms or the full house when at home, or the Hue portal via www.meethue.com when away from home. 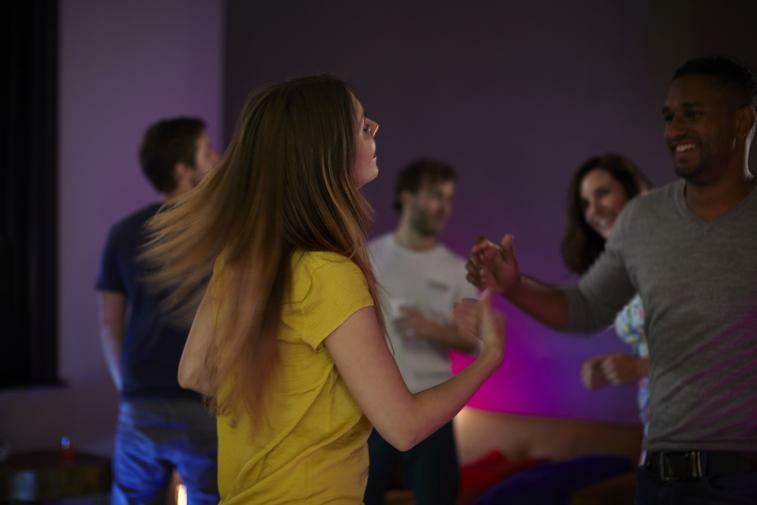 From the beginning Philips has encouraged others to integrate with Philips Hue. From third-party apps and wearable technology, to internet services and connected home products; Philips Hue goes beyond illumination to provide more than just light - to deliver new experiences where the only limit is your imagination.